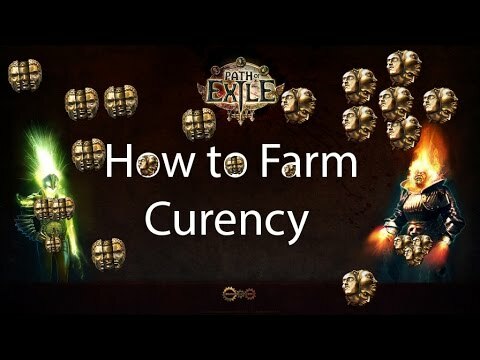 What's Your Go to Currency Farmer at PoE League Start? As a loyal lover of PoE. I find I have a lot of problems generating real PoE currency during the early days of the league when seemingly this is one of the best times. Slayer got buffed with VP nerf so a good easy starter. Sunder as main skill. Windripper currency farmer you can focus on just getting gear+wind ripper to farm T1-T10 for drops as fast as possible. This is the build you gotta be mapping fast and efficiently for the best returns. Short of gear breaking T10 maps a 6l windripper and biscos will be the two big core items. But I think you can get away with 5L no problem or even tabula. Build I plan to use as a starter for 3.1. Not a build exactly. But knowing what jewelry is going to big in the meta helps a lot. My guess would Phys anything will be big seeing how strong slayer is now. So crafting two stone rings or amulets that give a mixture of int/dex or int/str is what I did for the race. Despite no exalt drops for me I was still using 20+ex in gear for a sunder character. So the amount of time you put into understand crafting I think you get a great return in knowing what will sell and what won't. Lots of streamers make good guides to this. I personally prefer Ziz he makes decent entry level crafting guides for each update. Obviously this is pretty bare bones and won't help most veteran players but there are plenty of more in depth guides out there you can find. This is aimed strictly at beginners. Go at your own pace and enjoy the game. However if your sole desire is to make currency so you can chase whatever it is you desire. Learn how to to get to end game at a reasonable pace. I am not good at the game mechanically by any means. But from watching certain streamers I learned a good deal on how to make my leveling process smooth. Now I often party to level up as you split up and finished quest lines and split objectives much easier. Getting to end game (Maps/uber/bosses) by day 1 is hard but rewarding. Decent rolls on rares will fetch you good amounts of currency and the more you play after that point the better it gets. I would not suggest this for new players or even some veterans. I find for me at least playing like this can cause you to burn out on a league. Maybe that was just me. You do you boo. Engineering eternity is a newer content creator. But it is extremely high quality and easy to digest. I really suggest it to anyone veteran or new. If Mathil or another popular streamer is doing a build chances are the unique's required will be more expensive than normal. So by streamers bringing well built builds to the spotlight the items become more desired. I bought a few mortum claws in legacy to test this and got triple what I payed so I guest the meme is real. In all seriousness this a speculative gamble at the end of the day. But for me the streamer or Mathil effect has been real. Honestly knowing how to price an item properly and avoiding the less sportsmanlike flippers and price fixers goes a long way. I remember being scammed out of many valuable items over the years as I learned the game. Its part of the POE trade experience and something you gotta learn. If you have a better suggestion, please leave your opinion.